If you are located in the Chester Springs area, Trefz Web Design can help your business succeed by giving you a web presence that will get you noticed. Trefz Web Design is located in Lionville, PA a few miles west of Chester Springs, PA. just down PA Rt 113. 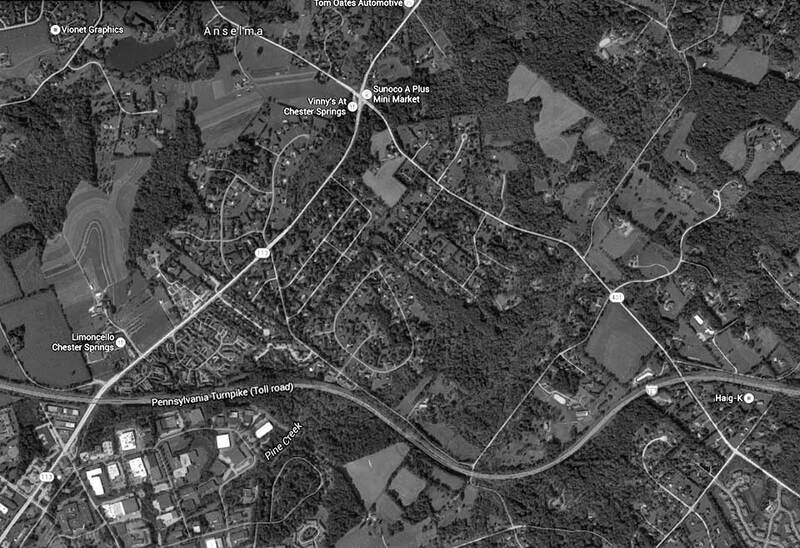 The Chester Springs area has grown tremendously over the years and you want your business to benefit from that growth. If you’ve lived been in the area more than a few years, you have seen the growth that has occurred in the historically important Chester Springs area. Historic Yellow Springs Village is located in Chester Springs. The community includes historic churches, established in the 1770s: St. Peter’s United Church of Christ and St. Peter’s Evangelical Lutheran Church. Chester Springs is also home to The Mill at Anselma, a National Historic Landmark grain mill built in 1747. The Mill at Anselma is a well-preserved example of a grain mill of its kind – boasting its original wooden gearing system and millstones. 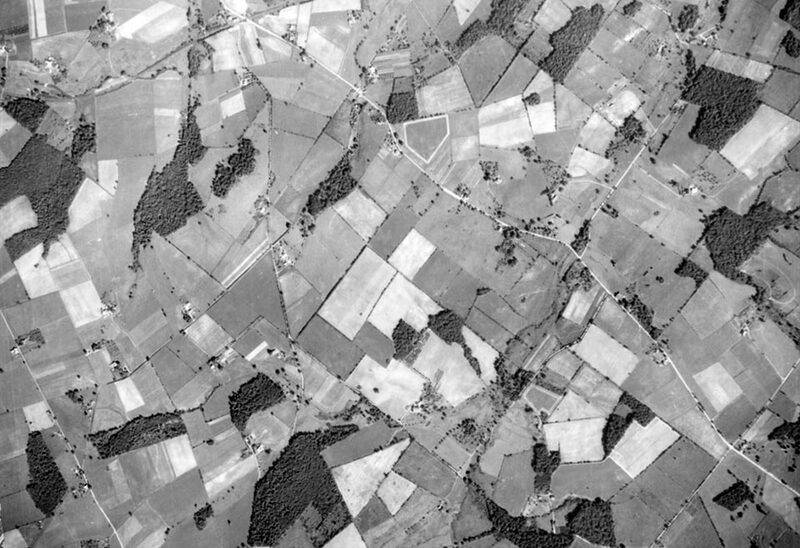 This aerial view of Chester Springs from 1937 shows the farmland in the area at that time. An aerial view of Chester Springs from current day. The two photos are closely aligned for comparison purposes.